That’s right fiends, the time has come! 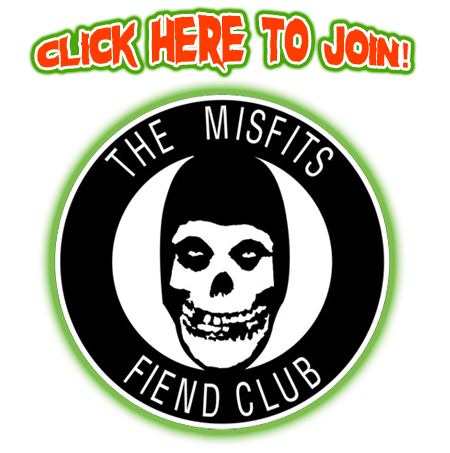 The vault of horror has opened accepting memberships to the Official Misfits Fiend Club! Order your membership kit to the Official Misfits Fiend Club and become a card carrying Fiend for Life! Membership kits include a vintage 8x10 glossy Misfits photo personally autographed by the founding Fiend himself, Jerry Only plus lots more exclusively available to Fiend Club members! Click here to see Fiend's Tattoos!